Coastal Rooter plumbing technicians are emergency plumbing specialists with years of experience in serving residential and commercial customers. Our fully trained technicians are capable of handling any plumbing issues that may arise in a timely manner. When anything suddenly goes wrong with your showers, sinks, toilets, drains, or sewer pipes, our technicians will arrive quickly to assess and repair your damaged plumbing. We understand how important and immediate your plumbing, drain, and pipe repair needs may be. At Coastal Rooter, your plumbing and drain problems are ours and we want to help you get rid of your plumbing problems quickly and effectively. That’s why when we send out our professionally trained emergency technicians in Chula Vista, California to repair your plumbing, we listen intently to your concerns, then quickly diagnose your plumbing problem and begin repairs. We come equipped for all plumbing needs everywhere we go including specialized equipment necessary to inspect, assess and repair burst pipes, potential and already major clogs, backups, and many other plumbing issues in order to solve and prevent further damage to your plumbing system. As an added bonus to you we offer a free camera inspection along with any plumbing service to make sure your home, office, or business is safe. During a home plumbing emergency, we can promise you that at Coastal Rooter you can contact us by phone and we’ll come quickly to protect you from further property damage in your Chula Vista, California home. We know that a sudden plumbing problem can cause lots of stress and we want to make sure that you’re in the best of hands. Our understanding and professional technicians will repair and replace your household plumbing to its full capacity as soon as possible so that you can continue in your day-to-day life in sunny Chula Vista, California as seamlessly as possible. With any commercial plumbing emergency is the chance to lose lots of business and income. At Coastal Rooter, we can get your business back up and running fast. 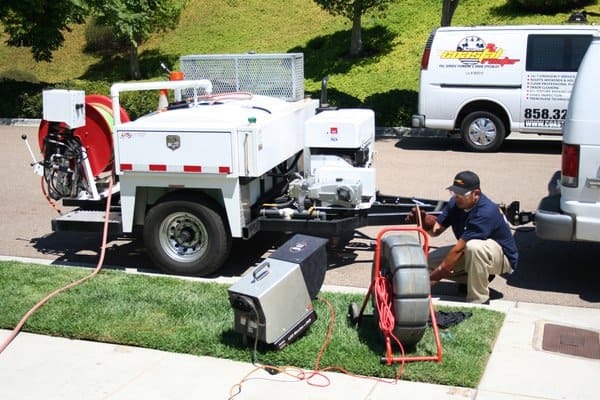 We send out our experienced professional Coastal Rooter Plumbers in the Chula Vista, California area quickly to prevent your customers and employees from being inconvenienced longer than necessary. Our licensed plumbing technicians can solve your emergency plumbing issues quickly and painlessly, starting with a single phone call. Coastal Rooter also offers non-emergency plumbing services to keep your household or commercial plumbing system fully functional. We recommend that you schedule an appointment for regular maintenance to prevent any disruptions or plumbing and pipe surprises that cause so much stress and kill your productivity, costing you precious time and money. Anytime you need a repair, new installation, or a system upgrade, Coastal Rooter arrives quickly and takes care of your needs effectively to your complete satisfaction. When you need an experienced professional plumber quick, call us. We’re located right here in Chula Vista, California, available to serve your emergency plumbing needs year round. During the Summer and Fall it’s a good time to take precaution against and protect your plumbing from the cold. Frozen pipes can occur especially after hot summers. This can cause massive amounts of damage to your home, office, or business along with severe flooding. By making a simple phone call to Coastal Rooter you can prevent frozen pipes and save yourself lots of money and heartache.